Public space is a publicly-owned place for speaking out and being heard. For example, parks, sidewalks, libraries, schools, governmental buildings, recreation facilities etc. Most public spaces are free of charge, don’t require special privileges to enter and their main purpose is to serve the community. A successful public space generally needs to offer four qualities: it should be accessible, it should be comfortable and have a good image, people should be able to engage in an array of activities, and, it should be sociable. Personally, I love to hang out with my friends at a park named Cunningham park. Sometimes we go just to talk and share some time together or sometimes we go to play some baseball which is our favorite sport. Especially in New York City I think it is very important to have park and recreation centers in which people can go and to feel the nice breeze and feel relaxed. After 9/11, most of New York City’s public spaces are being militarized, now “Safety and Security” are the main concerns instead of “Tranquility and Freedom”. More parks are now being militarized with more police presence and even the benches are militarized so homeless people don’t sleep in these areas. All these new regulations about security and safety are basically destroying many public areas and these are being replaced by corporate-dominated space for commerce, business and tourism. The real question is, is privatization is helping communities or is destroying communities? Well I think the fact that more private companies are coming to the cities, more jobs and employment opportunities. Since these are private entities more safety and order will be implemented in communities. 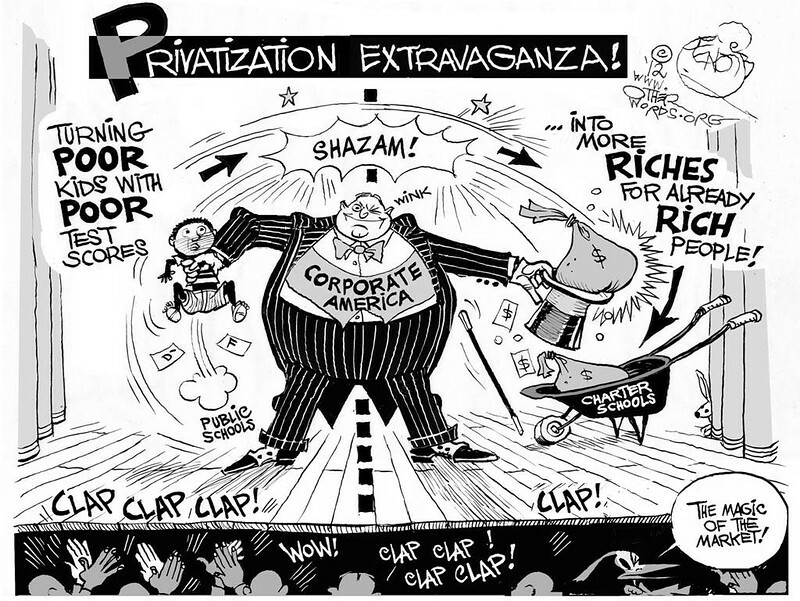 I don’t think privatization is a bad idea but the big issue is where exactly privatization is happening. Now more neighborhoods are losing their roots and culture because of privatization, people that were raised in a neighborhood can’t feel identified with it anymore since everything have changed in the last couple of year because of privatization and gentrification. Another reason privatization is happening in many public spaces is because the government or cities are offering this tax breaks for investors, so this means that less taxes are being collected and that’s why we have limited budget for public spaces. Now cities like New York, San Francisco, Los Angeles, Chicago, don’t have green areas anymore, the increased traffic and noise pollution is damaging all these beautiful cities. Part of the explanation for this trend is that local authorities are increasingly using existing public spaces to raise funds, by charging for events or leasing their spaces to companies and a big example is the Barclays Center which was supposed to bring hundreds of thousands of jobs to the city but what many people forgot was that this are bad, part time, seasonal jobs which could help the city in the short run but not in the long run. I do believe that by creating jobs more and more people are going to come to the city and pay taxes but the down side is that public spaces are being affected by all these changes. Tranquility can’t be taken away from our communities, instead we should promote the need of public space in which we can feel the nice breeze and feel relaxed. Your point about Cunningham Park rings very true: I attended a graduation party there last summer, and his family had to pay a $250 fee just to have a small gathering. The park is supposed to be a public space, yet this fee is a complete contradiction. I also wonder–what is the purpose of this fee? Is it just padding the pockets of government officials who are already wealthy? It is frustrating for those who just want to enjoy the day at the park with friends. I do have a few questions regarding your response. First, what are you referring to when you say that people lose their identities when companies privatize a previously public space? I interpreted this as gentrification. Not only are poorer residents forced out of their homes (and subsequent neighborhoods), they are also subjected to bigger companies forcing out smaller ones. Walmart might replace a mom-and-pop shop, and a bodega that serves authentic Mexican food might be replaced by a not-so-authentic Chipotle. Is this what you mean when you talk about losing one’s identity? Lastly, militarization is another gray area. While we want a safe city, how much police force is necessary? Where do we, as a city, draw the line? As you mentioned, 9/11 was a major component in the militarization of New York City. We do need to stay protected, but there are swarms of police and military in busy places like Penn Station. Does this keep us safe, or just instill more fear? It has been over 15 years since the 9/11 attacks, and while it is important to remember the past, how long should we live in constant fear of terrorism? The United States was built on the ideals of free speech and freedom and with the privatization of public spaces, areas often used by people to voice their opinions, individuals have fewer places to emphasize their political or social dissent. The city government has the resources to manage its parks with the public’s involvement but is clearly not doing so in recent time. Adding on to your point about tax breaks given to investors of public spaces, because of their funding, the investors can significantly influence what happens in these public spaces and quite often they choose to further their political agenda. This all goes back to Peter Eisinger’s opinion that we are moving from a “one person one vote” society to one that is influenced by “one dollar one vote”. As a result, those as the bottom of the income ladder are unable to voice their opinion and even if they can, the selfish needs of the elite are always fulfilled at the end of the day. Furthermore, if the local government can seize lands by eminent domain for the construction of private enterprise, there should be no excuse for them not to use these lands for endeavors benefiting the general populace in which they are able to protest and stand up for what they believe in. It is interesting to see how the government deals with public space, the parks and little resting areas may look nice and sometimes this blinds us from the real problem and we forget who this might be affecting, in this case it affects most homeless people. We should realize that even though parks might look nicer, gentrification is happening with this and it may be helping those fortunate ones but it is affecting those less blessed and forcing them into hiding therefore hiding the problem of public space even more. A quote from second article you cited: “…open spaces are increasingly being created within gated communities, where access is restricted to those who can pay to live there”, explains privitization pretty well in terms of class. Public space is limited to those who can afford it while others are given little to no public space to enjoy. Even such “open spaces” for the rich are further privatized as they are placed in gated communities. This relates to the Mike Davis article and his point about sequestering the poor in order to feed into the needs of the rich to be in a secure environment. I agree that in some cases privatization is not a bad idea but in other cases, like the privatization of parks, it is just too extreme. Obviously public space isn’t public space if there’s a fee to have a good time. I take part in flashmobs with my dance studio every so often, and each time we are told to just keep dancing even if police officers try to stop or kick us out. Mind you, we don’t do them for money, but just for pure entertainment, and in areas like Times Square or Prudential Center in NJ where there is plenty of space for people to walk past if they don’t want to watch. I understand the safety issue involved in large gatherings, but there is no need to shut it down as a whole. And maybe because I am involved in them I am biased, but again, a sidewalk is a sidewalk, and as long as what one is doing on it is not harming or causing danger to anyone, I don’t see why there are so many rules to them. The only places money should be owed to have a good time are in privately owned areas like restaurants, theaters, or if necessary, renting out an entire section of a park for a festival or enormous event. It’s frustrating that the simplest things can have so many regulations attached to them. Public space, by definition, is a social area that is open and accessible to people free of charge. Most parks I see in NYC are already free of charge to get into. The libraries, my favorite public space, are pouring a lot of money to workers, updated books, technological resources, and improving the architecture of the place. Queens Library charges the borrower a few cents for late returned/lost books, $2 for a lost library card, and now a quarter for not picking up a requested book that thelibrary employees took time and trouble to reserve for the requester. To enter a library and to use its services and facilities is completely free but to use their services unconveniently for the community entitles them to charge the disobeying person a few change. In a way, this is just to remind the public that the government and its programs are here for the people to enjoy but once the people start to abuse their rights then the government could cease services or, in the case of the public libraries, make the services cost some money. The same idea can be applied in our public parks. The park is for recreation, relaxation, and enjoyment of the visitors of the park. Sadly, because of its free availability to people from all walks of life, it is often abused by the visitors. The fee of $250 in Cunningham Park for a small gathering might be an added charge because the park will have to assign additional cleaners after the said gathering. I’m not saying that $250 is a reasonable amount but sometimes the fees are reasonable in some cases.